Franklin Billiard Company offers a complete line of professional services to keep your table in perfect condition. We offer moving, setup, recovering, storage, appraisal, repair services, and cue repair. Franklin Billiard Company will move tables that we have sold or have been bought elsewhere. To properly move a pool table from one location to another a table needs to be broken down. The components should be marked so they are reassembled in the same manor in which they were first assembled. The parts should also be packed to assure that they are not damaged in the process of transporting to the new location. When reassembling them it is not just a question of putting it back together. The table should be properly leveled with a machinist level, seams reset and sealed, cloth restretched and the rails properly realigned. Franklin Billiard Company installs pool tables with an in house crew. All installations are done by our employees. We do not use outside contractors to setup our tables. The head mechanic is also the owner with 35 years of experience. If you buy a table from us or if you purchase one on the internet you will receive the same service and quality workmanship. All tables will be setup to the best of our ability, but keep in mind not all tables are of the same quality. Many tables now on the market use pressed wood and have poor structural strength, making them less likely to hold their level over time. We strive not to sell this type of product, but setup many of them from internet sales. Franklin Billiard Company will recover your table giving it a facelift. Pool table cloth generally will last ten years. The life of cloth varies with the amount of play and how clean the cloth is kept of chalk. Tables can be recovered just to make it look newer, but it is more common to recover a table when it is being moved from one location to another or if new carpet or flooring is being installed. Recovering a table is close to the same process as a new installation due the fact that the table must be broken down to the slate, releveled, seams resealed, new cloth installed and rails and pockets reattached. Franklin Billiard Company can store your pool table. We can break down your table, move it to our store, and keep it in our air conditioned/heated building. If you are remodeling and don’t have room to keep the pool table at your house we can keep it for you. Also if you have a conflict for when you knock down a table and when you setup a table you have purchased we can store it till you are ready. Our monthly fees vary depending on the size and length of storage. We caution table owners who wish to store tables for extended periods of time. Sometimes it would be better to sell a table and purchase another when you are ready. Franklin Billiard Company will give an appraisal on a pool table you own or may think about buying. Although we are not a professional appraiser we will look at a table and give an opinion of what we think a table is worth. Often times a photo emailed to us will be enough, but we can look at a table in person. We will take into consideration the condition of the table, its age, the type, accessories and its desirability. We can tell you what we have seen similar tables sell for from both dealers and individuals. Franklin Billiard Company can repair many issues with tables or direct you in the right direction. 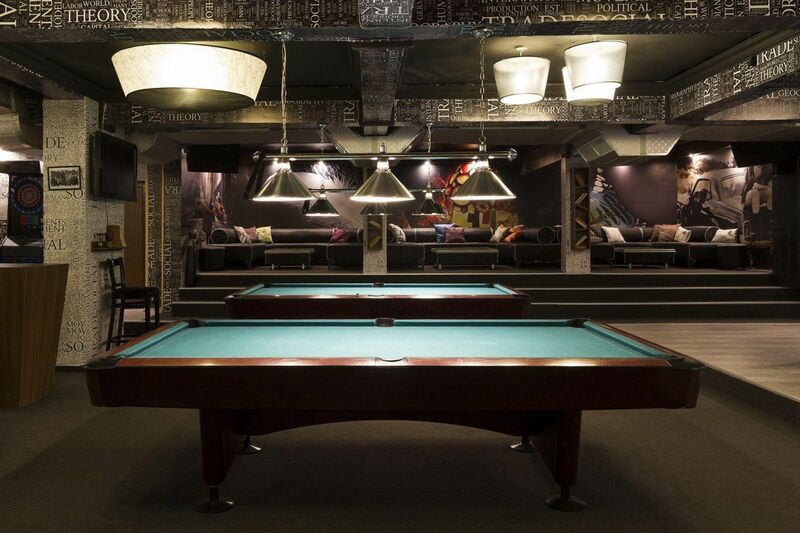 We can replace pockets, cushions, slate, missing hardware and parts to your pool table. We can also repair loose cushions, mend torn pockets and repair some cosmetic issues. We also recover game tables and bumper pool tables. Franklin Billiard Company can repair your cue. Our services include replacing tips, ferrules, rewrapping butts and refinishing shafts. We can also send off a cue to the manufacturer for more serious problems such as replacing a shaft or cracked joint material. Often tip replacement is done while you wait.